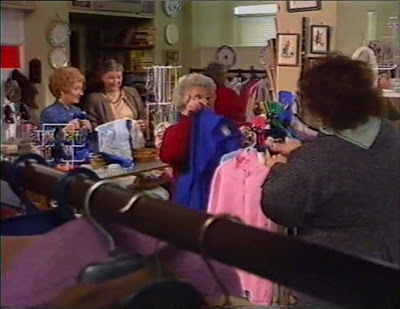 Coronation Street Blog: Could the charity shop reopen in Coronation Street? Could the charity shop reopen in Coronation Street? Yesterday's news that the Co-op and Costa Coffee are going to be opening in Coronation Street has promoted campaigners to try to persuade ITV to add a charity shop to Coronation Street. The campaign is the idea of Manchester-based Jayne Cartwright, who is founder of the Charity Retail Consultancy, which has advised and supported charity retailers for 25 years. Jayne says that a charity shop with its volunteers and customers would offer new opportunities for Corrie writers and bring home the value of local charity shops to a nationwide audience. Well, there used to be a charity shop in Coronation Street, run by the Friends of Weatherfield Hospital, and its picture is above. 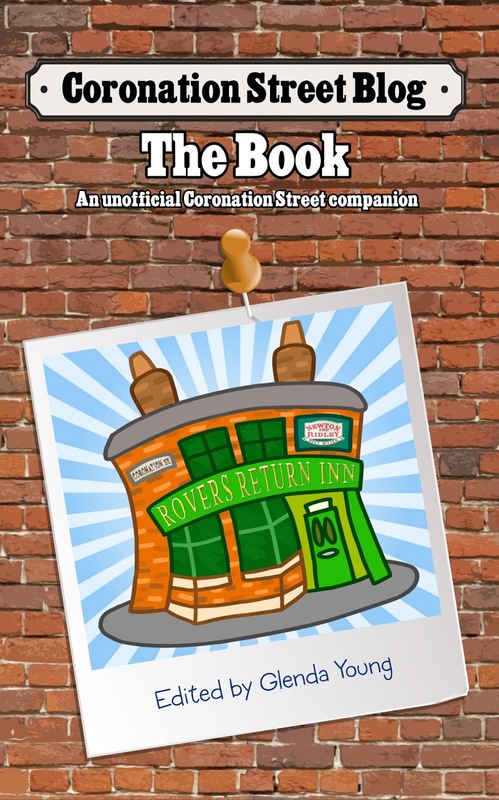 And with thanks to Corriepedia, we know that it was located at 2 Coronation Street, and was the first "business" to use the shop unit since it was completed in 1990. The unit was empty for months, and finally let by Maurice Jones at a generous price to the Friends of Weatherfield Hospital, which used the premises from February to December 1991, an extension of the initial six-month lease. Street resident Emily Bishop, who had a long association with the charity, volunteered at the shop and was essentially the manager, with assistance from Ruby Mottram. The shop was officially opened by Councillor Deirdre Barlow on 27th February, with some of Emily's friends donating old clothes to stock up (although in Bet Gilroy's case, Emily wondered if her anybody but her would wear her clothes!). The shop's custom was mostly from the elderly, including Emily's lodger Percy Sugden who often dropped by to keep an eye on her and occasionally helped out. In March, Percy left his waistcoat on the counter only for Angie Freeman to buy it, thinking it to be stock. On 8th April, Joss Shackleton collapsed in the store after being pushed by Percy, resulting in Joss being rushed to hospital and needing a blood transfusion. Two days before Christmas 1991, Emily was told that the lease on the shop wasn't going to be renewed, but she kept the flame alive by storing stock from the shop at No.3. After closure, the unit remained empty until Denise Osbourne bought it and opened a Hair Salon there in December 1992 - the first of many salons to operate there. The charity shop itself relocated to within Weatherfield General. Re-open it as a vintage clothing store, run by Gina and Sinead. Could have a booming business, plus give a few characters something to do and a place to hang out different from the factory, Rovers, and the Bistro. Great idea Anon! Gina's bling-wear, and Sinead's soaps and candles. Jeanie I love the idea - it would be perfect for those 2 characters and give them something else to do besides the factory, Rovers & Bistro. Great thinking. I love that idea Jeanie. Those two characters aren't given anything useful to do and this would be perfect. Should Pat Phelan be killed off - Yay or Nay? Carla's Return - how is it going so far? Where have you seen Corrie's Lulu Lockett before?